Interested in private developments? Click here for a list of new & recent developments. As the second largest municipality in British Columbia, Surrey is a rapidly growing community with a number of new developments emerging within the City Centre. Much of the current growth is attributed to an increase of civic presence in the area accommodating a new City Centre Library, Chuck Bailey Recreation Centre, Covered Youth Park and City Hall. Many private develops include the CityPoint, d’Corise, Infinity, Park Place, Urban Village and Quattro. View a map of Major Development Applications in Surrey City Centre, Current Major Projects in Surrey City Centre, Completed Major Projects in Surrey City Centre, or visit www.surrey.ca for more information. 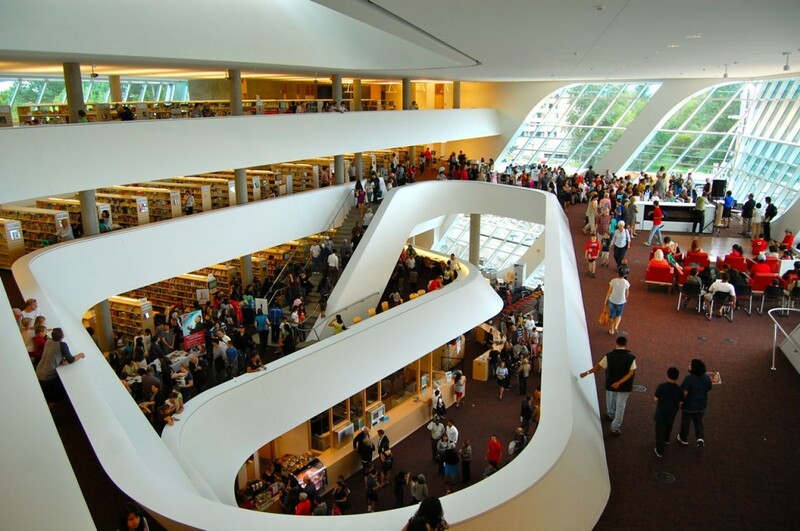 Surrey’s City Centre Library is proud to announce the opening of a new facility. The $36 million investment includes an expanded library collection, electronic training classroom, large community meeting spaces, Wi-Fi and other library programs. Futuristic architecture designed by Bing Thom Architects, the 75,000 square-foot space is the cultural and learning hub of the downtown Surrey core. LEED certified, this state-of-the-art facility fosters intellectual growth within Surrey City Centre and compliments the city’s vision for a thriving, educated, sustainable community. 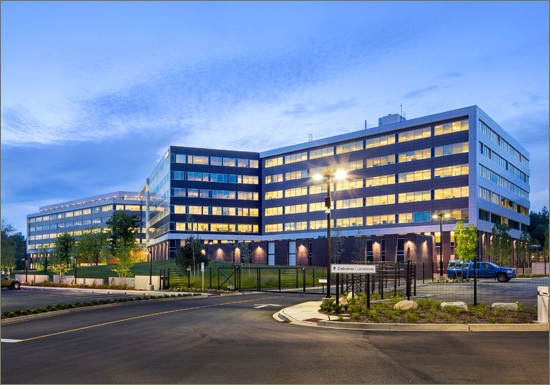 By 2014, $786 million of capital will have been invested in expansions such as the regional hospital, its health campus and Critical Care Tower. Expansions to Outpatient Care and Surgery Centre wings will reduce congestion, house educational and teaching resources, and add clinics for chronic disease. The hospital will grow to a 640 bed capacity, cover 40 acres of land, and touch over 500,000 people. By 2014/15, SMH expects to see 6,120 babies born (up from the current rate of 4200). By 2019/20, as many as 6,349 babies are expected. 17,196 children needed the SMH Emergency Department in 2009/10. By 2020, that number is expected to go up by about 12%. Expected all-around increases in hospital use drives growth and expansion of the Surrey Memorial Hospital. In the next three years, more than 700 medical health professionals will be recruited to support over 70 medical services provided at SMH. To find out more, visit the Surrey Memorial Hospital Foundation’s website. 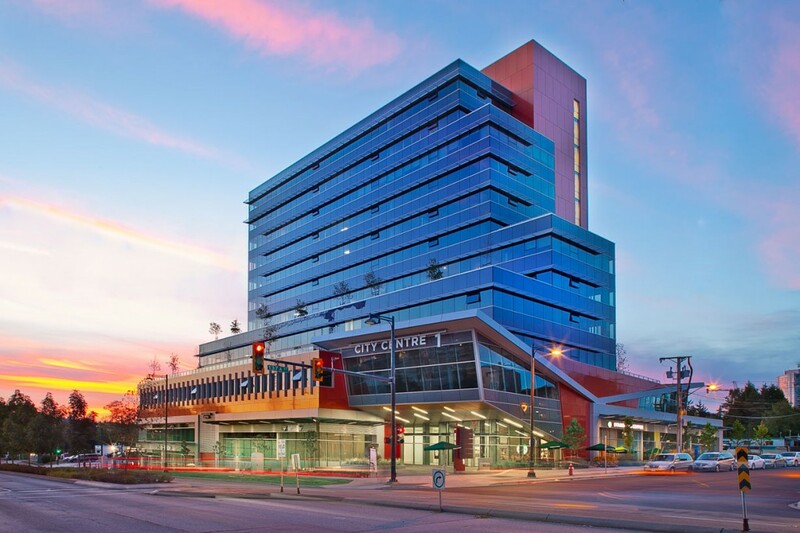 The City of Surrey has completed the Civic Centre Development Project, creating a vibrant Surrey City Centre. 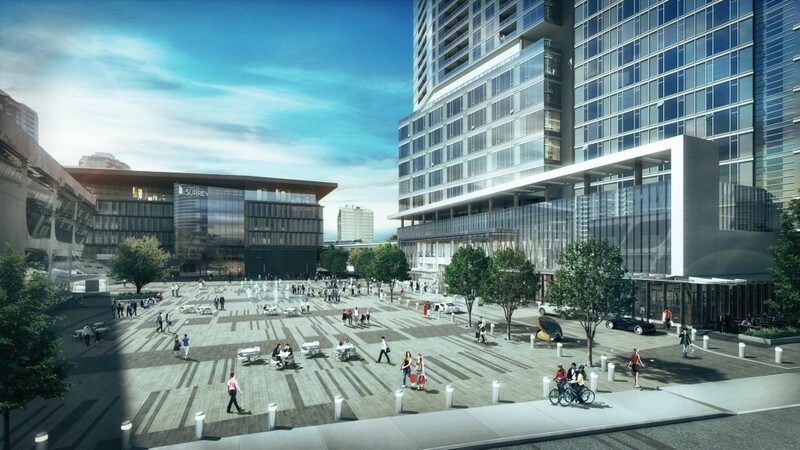 The Civic Centre Development Project includes a new City Hall and Office building, additional space for Simon Fraser University, and a major civic plaza that will become the heart for Surrey’s outdoor events, celebrations and festivities. It includes a Performing Arts Centre with a 1,600 seat flexible theatre and a 250 seat studio theatre; a new Central Library; and, a mixed use building accommodating Hotel/Office facilities. As a part of creating a great, walkable, enjoyable City Centre, it included a major beautification of King George Highway and significant upgrades to the current Skytrain Station and Bus Transit Exchange. Chuck Bailey Recreation Centre is located in Tom Binnie Park. This multi-generational facility provides 20,000 square feet of recreational space for Surrey residents, and was designed to meet the growing community needs for all ages in our developing City Centre. The focus of this building is on preschool, children, youth, seniors, and family engagement. This facility is the newest addition to the North Surrey area. The Royal Canadian Mounted Police (RCMP) E Division Headquarters Relocation Project is a Major Crown initiative to relocate and consolidate existing RCMP headquarters units throughout Metro Vancouver to a new location in the City of Surrey known as the Green Timbers Site, at 14200 Green Timbers Way. The Project is the Government of Canada’s first public-private partnership (P3) accommodations project and represents the largest federal accommodations project in the Pacific Region to date. The P3 contract with the private partner includes design, construction, finance, and facility management services and lifecycle refurbishment for a 25-year period following construction. 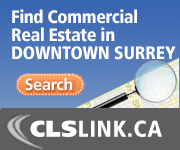 Copyright © 2019 Surrey City Centre in association with the Downtown Surrey Business Improvement Association.